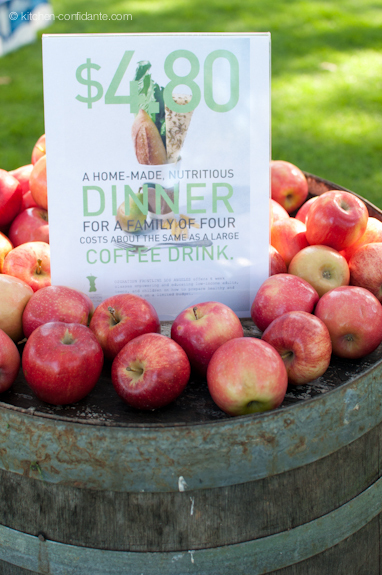 In cities all across the country, there is a unique collaboration underway to end childhood hunger. 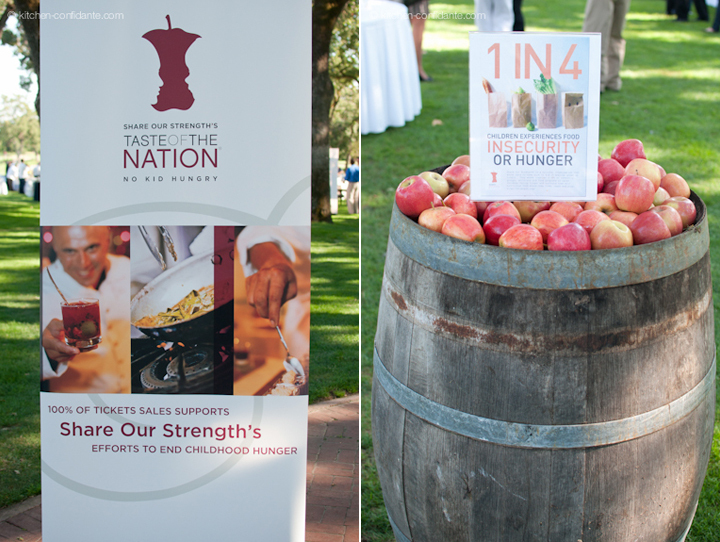 Share Our Strength’s Taste of the Nation brings together the nation’s culinary leaders and an army of dedicated volunteers to create spectacular benefits highlighting local top chefs, wineries, and mixologists. Remarkably, 100% of the proceeds go directly to Share Our Strength’s efforts, thanks to the time and talent of chefs, sponsors and guests. For supporters of Taste of the Nation, it is a fantastic opportunity to mingle with well-known as well as up-and-coming culinary figures in the local community, all while helping to raise money for a very worthwhile cause. After all, who better to address this important issue than those who dedicate their passions to food? 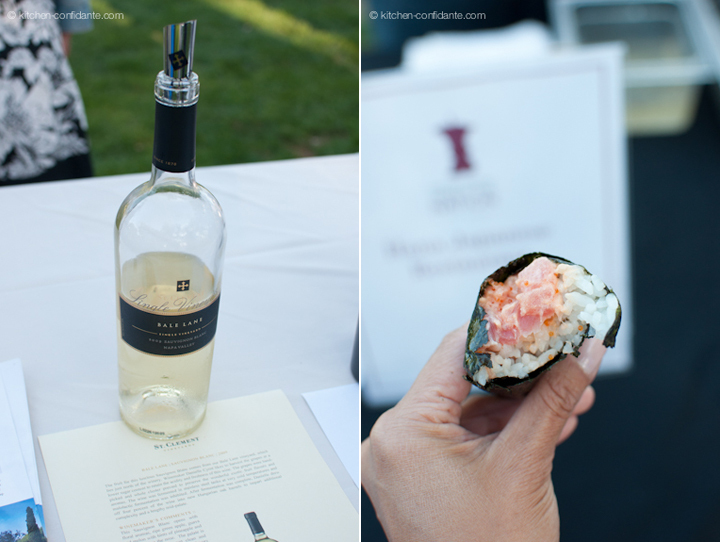 I was so excited to have the opportunity to attend Taste of the Nation Napa Valley, thanks to Foodbuzz. 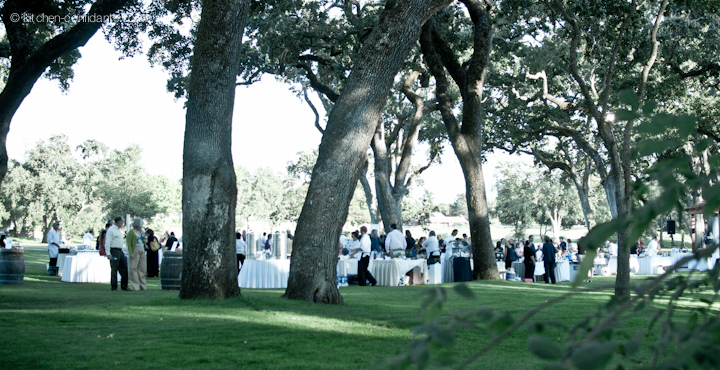 It was a lovely event, on a gorgeous summer evening in Napa. Truth be told, I had expected and hoped for a larger turnout, but the more relaxed atmosphere went well with the tranquil surroundings. It was also nice to have a better chance to really talk to and get to know the sponsors of the event. 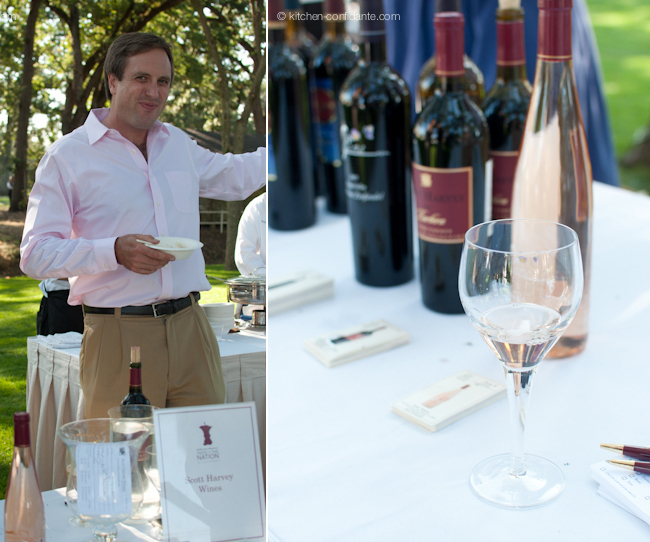 Taste of the Nation Napa Valley was held at the Silverado Resort, tucked away in a charming piece of the property called The Grove. As you approached the venue, the sound of music and the tinkling of china drew you into the hauntingly beautiful grove of oak trees. 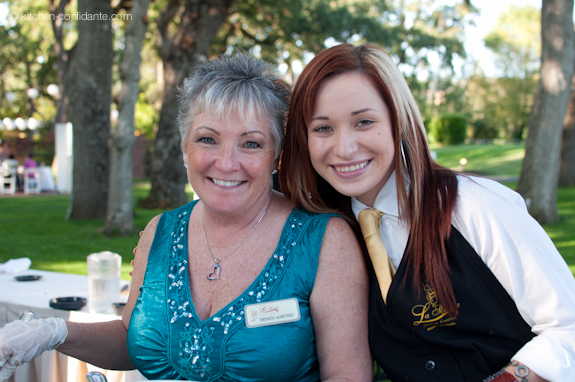 What truly set this event apart for me was the enthusiasm of the restaurants, wineries, and mixologists. The Napa Valley Taste seemed to have a good number of participating sponsors that are new to the culinary scene, and it was especially exciting to chat with this enthusiastic group of culinary entrepreneurs. Their passion for good food was infectious. Jana Winery Rose (pictured above) was the first wine to hit my lips that evening, and it truly set the tone for a lovely evening ahead. The pale pink rose was delicate and celebratory, and the essence of summer emerged through tones of peaches and strawberry. It was the perfect first taste that punctuated the cool summer breezes of the wine country afternoon. At the same table, we met the charming Natalie Bullion (photo on left) of Astrale e Terra Winery, where Scott Harvey is consulting winemaker. This boutique winery along Napa’s Silverado Trail focuses on small but fine production. An excellent example is their 2004 Estate Syrah, of which only 374 cases were produced. Using the fruit from their Estate vineyard on Atlas Peak, this Syrah has bold flavors of luscious plums and the ripest cherries, and a succulent finish. The Syrah went perfectly with the Duck Confit with Sour Cherries presented by Chef Craig Difonzo (pictured below), the Chef de Cuisine of Cantinetta Piero at Hotel Luca in Yountville. Rich morsels of duck confit were wrapped in tender sheets of pasta, their flavors brightened by the sour cherries. Absolutely divine. As we ambled around, there were more delicious bites left and right. The hardest part was pacing ourselves. 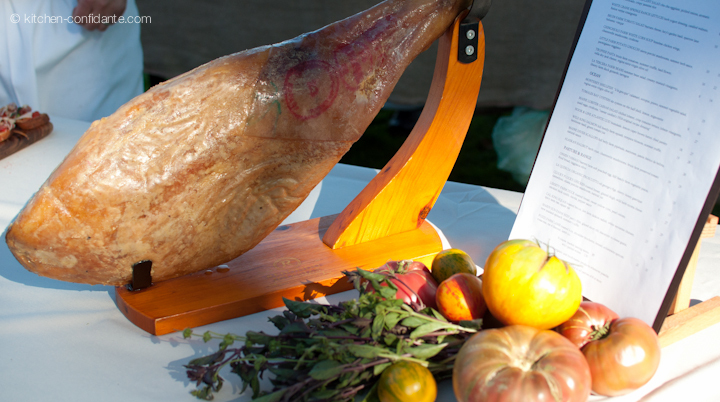 Who can say no to a large hunk of shiny ham? Irresistable bites from Bardessono Restaurant & Bar. There were definitely some memorable standouts. We were warmly welcomed by the energetic family behind the newly opened Carpe Diem Wine Bar with their stunning offering of Chef Scott Kendall’s Salmon Tartare (pictured above), prepared with diced cucumber and jicama, grapefruit, and served on crunchy, homemade wonton crisps. The salmon could not be any more fresh; caught just that morning, the ceviche style preparation was flawless, and let me tell you, it was life altering for my salmon-wary husband. It was unlike any salmon he had ever tasted before, and I credit the freshness of the ingredients, as well as the love and passion behind Carpe Diem. This month-old wine bar is a newcomer to Napa’s ever growing restaurant scene, and I can not wait to visit them and explore their other offerings. What a surprise! 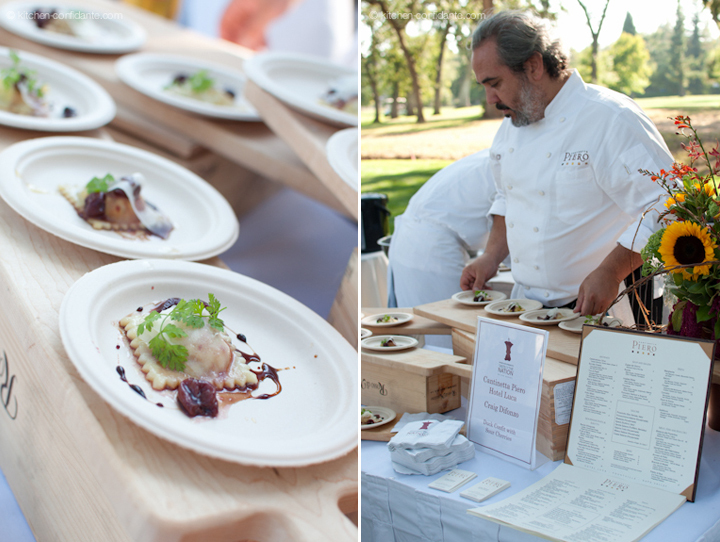 Brenda Martinez of La Strada Italian Cuisine was operating one of the most understated tables at the event. There were no vibrant displays of colorful food, or eye-catching print ads, and I nearly walked by their table had they not called out their offering of Chicken Marsala and Polenta. Almost secretly shrouded within their foil covered chafing dishes were the most succulent and flavorful bites of chicken marsala, which they served over pillows of some of the best polenta I have ever had. And this is how I know it was one of the best bites of the evening: my already stuffed husband, after sneaking a little bite of my generously portioned taste, proceeded to ask for his own steamy, creamy bowl. We both ate every last bit. I’m salivating, just thinking about it again. One of the more innovative tastes were Etoile’s Compressed Watermelon, with Smoked Paprika Mascarpone, Watercress and Lime. The compression heightened the flavors of the watermelon, and combined with the smoked paprika mascarpone, it gave the taste buds a lot to think about! 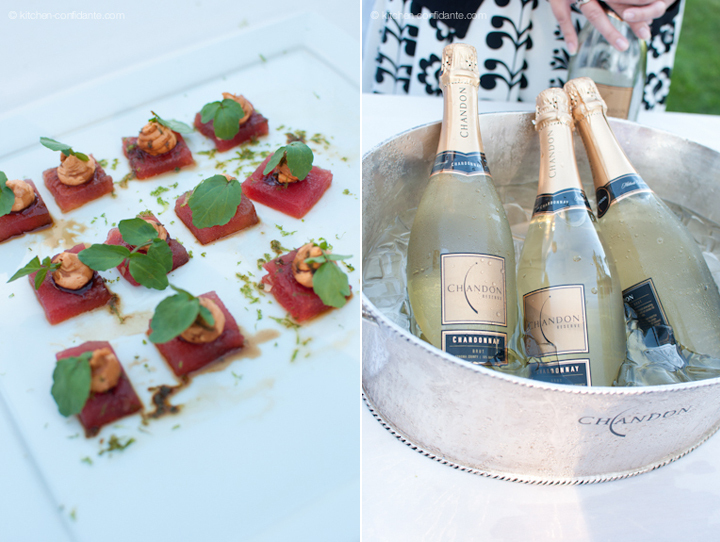 The bites were meant to be enjoyed with the Domaine Chandon Reserve Chardonnay Brut, which really enhanced the refreshing yet creaminess of the appetizer. The sparkling wine by Domaine Chandon had all the qualities I love in a bubbly: creaminess, coupled with flavors of lemon, pear, and crisp green apple. It was a joy! I fell in love with a 2009 St. Clement Bale Lane Sauvignon Blanc. While St. Clement is well known for their Oroppas, Tiffany Buchanan, their Wine Club Coordinator, pointed out this lovely white wine. I was greeted by the aroma of intense guava and pineapple, and my first taste had me thirsting for more. This Sauvignon Blanc transported me to a quiet Hawaiian island, perfumed by tropical flowers. It was a vacation in a bottle. Like most Sauvignon Blancs, this one pairs well with sushi, so how serendipitous for Hana Japanese Restaurant’s table to be located next door. Their Spicy Tuna Hand Rolls (pictured above) went exceedingly well with it! 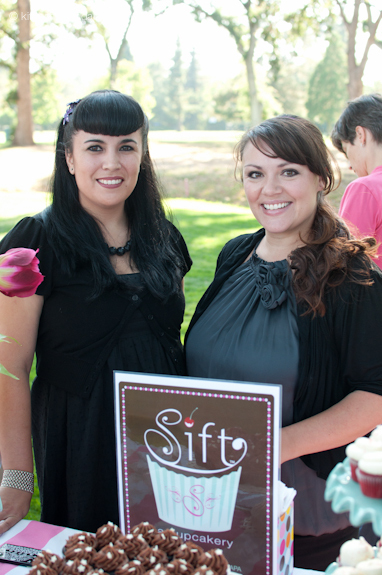 Sift: a cupcakery should have won an award (if they were giving out awards) for best dressed table. Everything, from the cake pedestals, to the layered tablecloths, to the fresh flowers, and of course, the sinful bites of miniature cupcakes, was beautifully coordinated. Their delicate Pink Champagne Cupcakes were dusted with a fine edible glitter, and I was pleased to find that the moist raspberry cake had a lovely spongy texture, and was frosted with a not-too-overwhelmingly sweet champagne frosting. I almost didn’t feel guilty eating it! 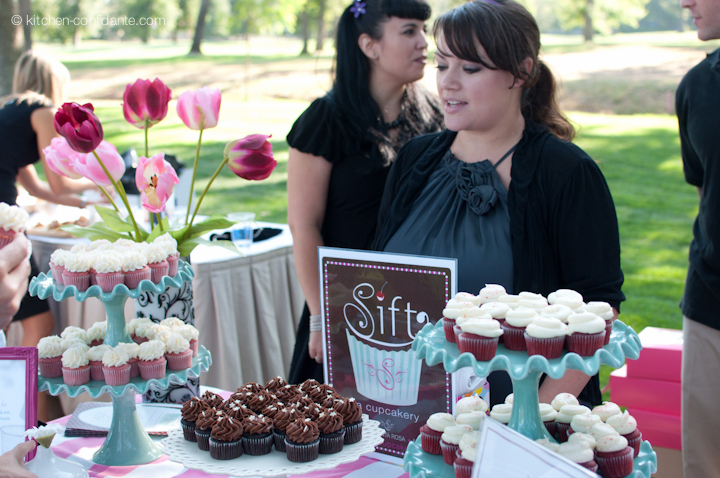 Now, what do you need if you’re having a Sift Cupcake? Well, a cup of coffee, of course! Equator Coffees was nearly life-altering. If you don’t believe me, suffice it to say that this family of avid coffee drinkers (two cups of coffee a day are a must, at least one with breakfast, and one in the afternoon) has decided, after tasting Equator Coffees, that we will cancel our subscription to a very well-known coffee roaster (I won’t name who, but I trust that you’ve heard of them) and begin purchasing from the San Rafael-based Equator Coffees. 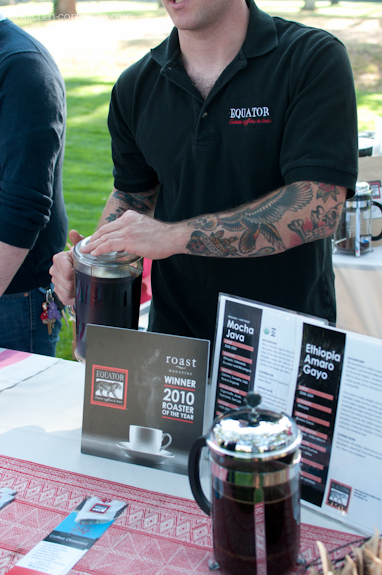 Their artisanal coffees are served at prominent restaurants and bakeries such as French Laundry, Bouchon, Citizen Cake, Jardinière, and La Boulange. Those accolades aside, both their hot Ethiopia Amaro Gayo and their iced Mocha Java were beautiful blends of bold earthiness and smokey roasts that I love in a good coffee. All good things must come to an end, but before I do, one final beverage. Celebrity mixologist, Manny Hinojosa, was behind the Bacardi table, and he whipped up a glass of this Coranzonsito. This fantastic cocktail of Bacardi 8, El Corazon, and grapefruit juice was refreshing and festive, and it fit well with the exhilarating atmosphere of the event. I have included the recipe below. As I sipped my Coranzonsito, the live auction for the benefit was underway, and you could sense the contentment and merriment of the crowd. Taste of the Nation Napa Valley was the ultimate in wine country charm – gorgeous surroundings, passion for fresh food and wine, and the desire to contribute to a higher cause made for a most memorable evening. 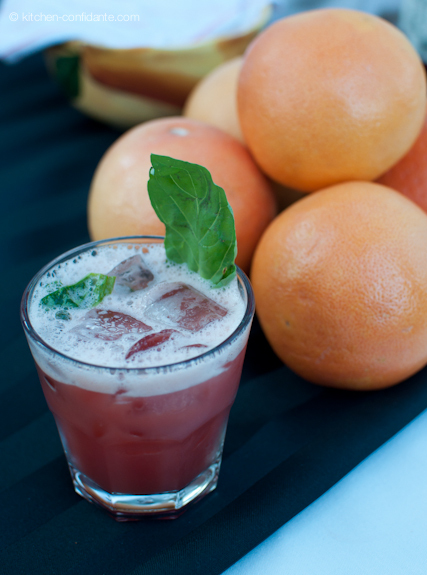 In a mixing glass, combine Bacardi 8, El Corazon, Falernum, fresh ruby red grapefruit juice, egg white and fresh basil. Shake and serve over the rocks. Garnish with a fresh basil leaf. Cheers! Beautiful virtual tour you give us with your pictures and descriptions. Colorado had this event just a few weeks ago and it was great but it doesn’t look like it came close to this. Thanks for sharing! Thank you, Andra! I get the sense that each Taste of the Nation is really unique and reflects each city differently. I’m sure the one in Colorado was also wonderful! You did an awesome job of covering this event, and everything looks fantastic! Some of that food looks really unique, and I was really taken with that Compressed Watermelon… what did it taste like and do you know how they “compressed” it?? Beautiful photos as usual. :) I just forwarded this on to a friend who is in Napa right now so he can check out some of these awesome wineries! Thank you Amanda! The Compressed Watermelon was definitely different – my understanding, based on the chef’s description, is that the watermelon is compressed with a cryovac, like sous vide. When you first see it, you actually think it is raw tuna, and the texture is similar to that. But the taste is of strong watermelon! What an amazing event…and you did such a wonderful job covering it for us. I felt like I was there. And I must say that those cupcakes looked divine! Monet, aren’t the cupcakes darling? 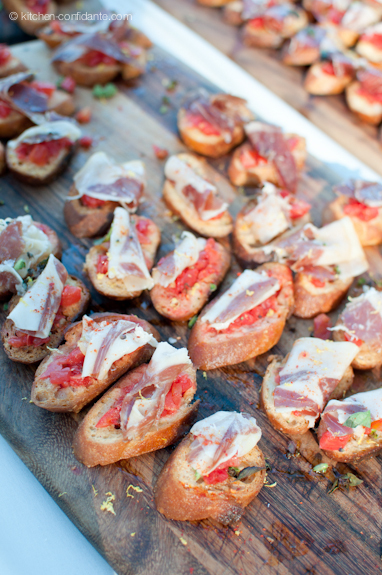 I’m so glad you liked the post – I really hoped to share the whole taste and feel of the event! What fun indeed! Thanks for sharing the wine, the food, the people behind this important event. You covered the event beautifully, Liren. Thank you, Jean! It was definitely a joy to meet the people behind Taste! Great coverage. Beautiful photos. Looks like a great experience to a great cause. Thanks for sharing. Great pictures! Looks like a fabulous time! It really was fabulous! I’m glad you enjoyed the photos! what a great event for such a worthy cause. Thanks for sharing your experience with us. Gorgeous day too! Jenn, it was a beautiful evening – the weather could not have been more perfect! A worthy cause, indeed. Great to meet you at the event! I love the way you captured it. Cheers! Hi Natalie – thank you so much for dropping by! 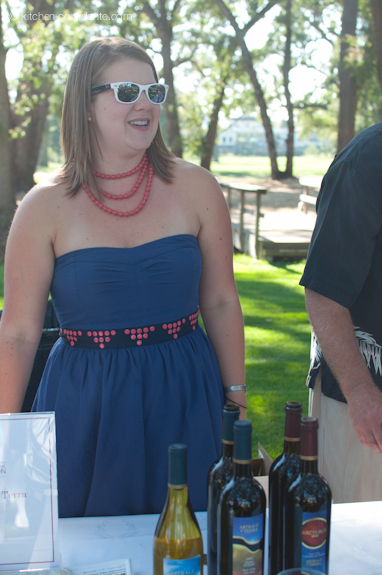 It was such a pleasure meeting you – thank you for pouring that lovely Syrah! Every one of these pictures is fantastic. I have to say, the tuna hand roll looks particularly wonderful. It’s one of the many reasons why I can’t stop eating fish. Don’t know what I’d do if I couldn’t eat a beautiful dish like that. That tuna roll was really a good. A nice combination of crisp seaweed, warm, fresh rice, and cool spicy tuna. Yum. WOW – I feel like I was there with your wonderful photography and story. Sounds like a terrific event for a great cause. The food looks so tasty. I am especially drawn to those pink champagne cupcakes. Were they as tasty as they look?? Great job covering this event and lots of beautiful pictures. The watermelon looked very delicious. Thank you, Gitte! There was so much to share, I’m glad you liked it! 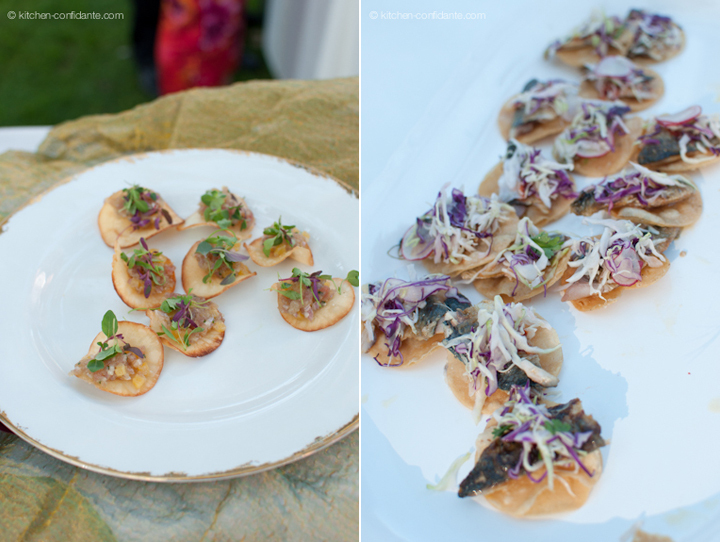 I felt like I was at the event looking and the photos and tasting the food! A fantastic job ! I want some of those pink champagne cupcakes, too. Seems like the pink champagne cupcakes is a favorite! They were very, very good! I’m so pleased you enjoyed the photos – it was a lot of fun to photograph. Wonderful photos, Liren. Thanks for sharing. 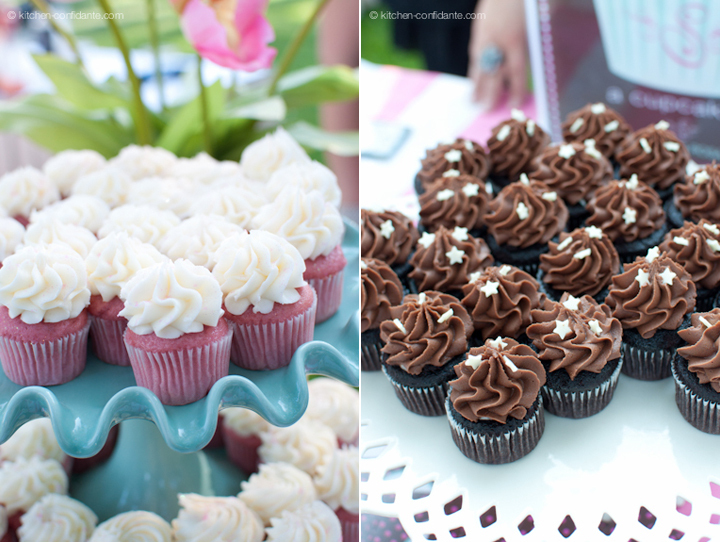 Everything looked so delicious… especially those pink champagne cupcakes!! Thank, Jun! 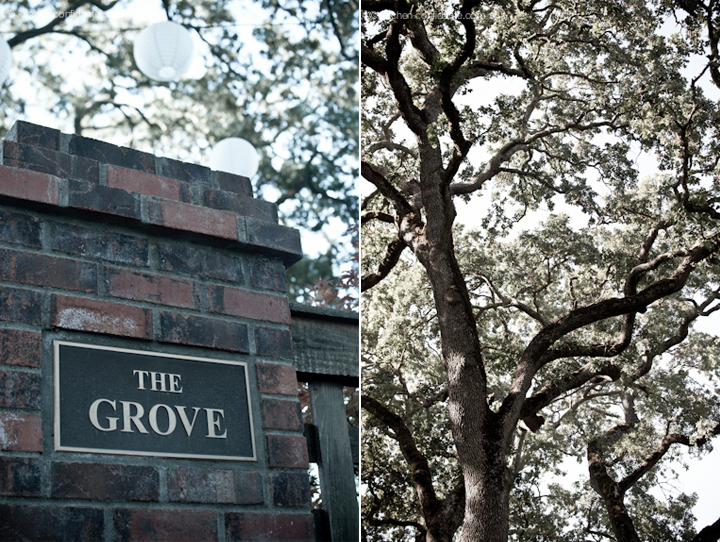 The lighting was just perfect at that time of day, under those trees, so it was a joy to photograph! Really enjoyed this Liren, you did a beautiful job as always! The photos are amazing and yes, it is such a lovely place! Cheryl, thank you :) You would have loved it – it was beautifully done. I thought of you the entire time! Thanks so much for your beautiful post! I’m glad you got to attend the event. Taste of the Nation appreciates being featured on your blog! The honor was all mine – I can’t tell you how much I truly enjoyed Taste of the Nation – it was such a pleasure to attend and write about it! Looks like it was a perfect setting with all that lovely wine and tasty small bites. Nicely presented. So many fun events up north!!! How lucky that you got to go. The salmon tartare and the duck confit… MMMMMM!!! And then the cupcakes… MMMMMMM!!!! You captured all the moments so beautifully. I love the Coranzonsito shot you took!